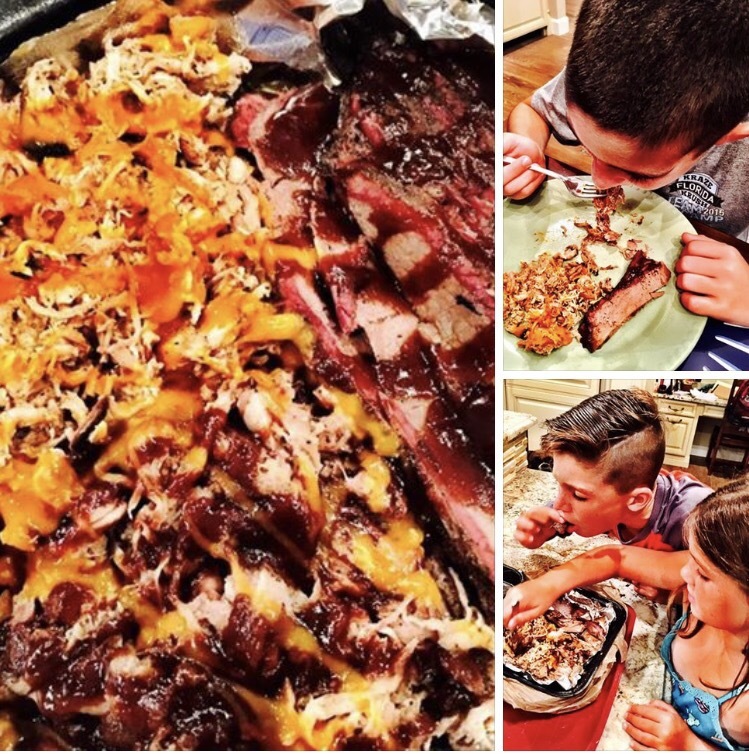 The payoff BBQ50 feels when a pack of hungry kids dive into a box of saucy, hot, and smoky pulled pork and chicken!! That’s exactly what these three did after a long day of sports!! We’ve been dropping samples around the area to get them introduced to the new flavors that are making their way around east Orlando!! Our slow smoked BBQ seems to be scoring touchdowns across east Orlando….and it’s not even football season yet!! Let us know where your Saturday sporting events are!! We are looking for some high traffic, family oriented locations to bring the BBQ50 trailer right to you!! In the meantime, we are now bringing the BBQ50 goodness to you 7 days a week!! Call 407-929-9350 to discuss your catering possibilities now!! Until next time, we’ll see you around the smoker!!! Previous The Training Wheels Came Off!! Next New Menu and Other Updates To BBQ50 Site! !